Nicole Daigle used to roam the outfield during her softball playing days. 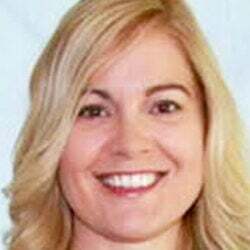 She also was the striker for the Leavitt High School girls’ soccer team. 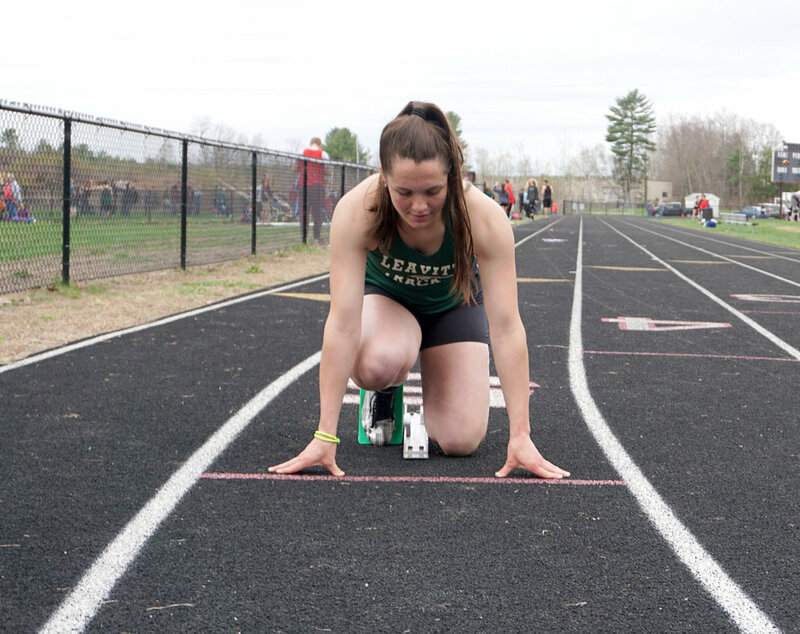 During a soccer practice inside the school’s track, Leavitt track coach Jamie Juntura — who was also a soccer coach at the time — saw Daigle running sprints, and from that point on Daigle’s athletic focus changed. That was her sophomore year. In the spring of that year Daigle decided to join the outdoor track team for the first time and it proved to be a successful decision. Daigle finished in sixth place in the 100-meter dash at the Class B state championship, with a time of 12.96. Last year, under first-year coach Sara Thurston, Daigle catapulted to the top of Class B in the 100. Much of the success is attributed by Thurston to Daigle’s competitiveness, focus, and drive. 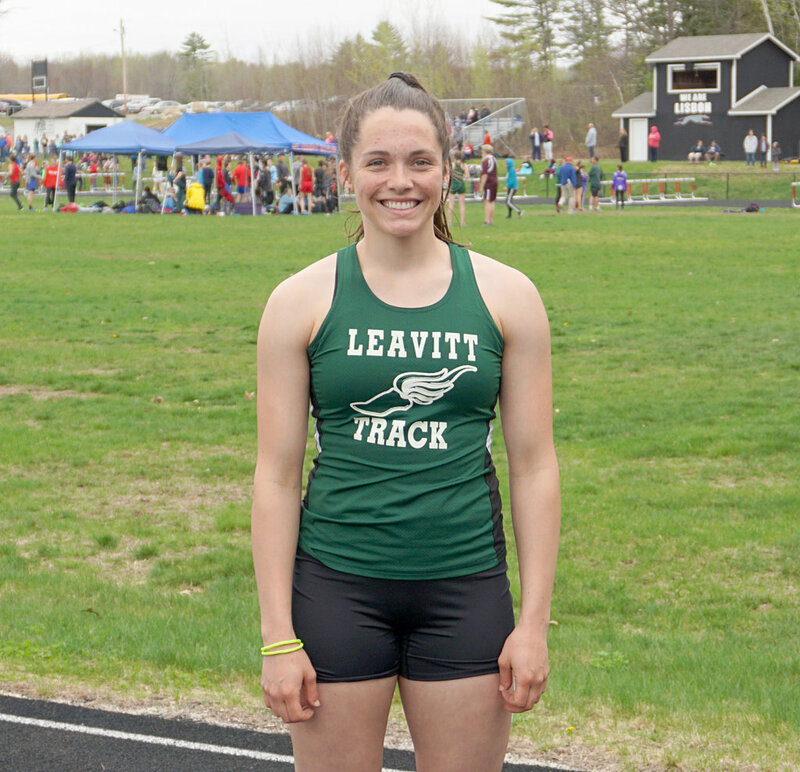 Most days it is hard to get the Leavitt senior off the track. 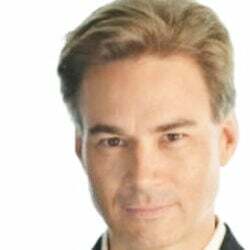 “It’s pretty much everyday, she won’t stop,” Thurston said. “Everyday I have to tell her ‘that’s enough for today, you have to go home. I have to go home, I haven’t seen my family, you’re going to burn yourself out.’ She says ‘one more coach, one more,’ then we do one more. She ends up finally deciding she’s done for the day. There’s kids that would have drawn the line earlier but she is so focused. Daigle did just that as a junior, winning the Class B KVAC and state championships in the 100, earning a school record time of 12.54 seconds in the process. In just her second year, Daigle had climbed to the top spot in the event. This season, Daigle turned down soccer in favor of the weight room and has spent her senior year preparing to defend her title. With all of her strength training in the gym, Daigle developed an affinity for exercise science, which she will be studying next year at Central Maine Community College. “Last couple years I have been trying to get better for track, teaching myself how to lift and stuff, and that’s how it has started,” Daigle said. 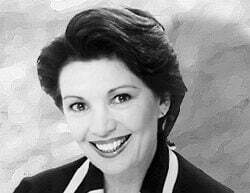 “I mainly taught myself, I read articles, watch videos. The senior’s work has not gone unnoticed by Thurston, who has Daigle in her weightlifting class at the high school. While Daigle has put in the work in the gym, she is also aware of her surroundings when it comes to her competitors. She spends a lot of time checking her competitor’s times each week, so she knows where everyone is. 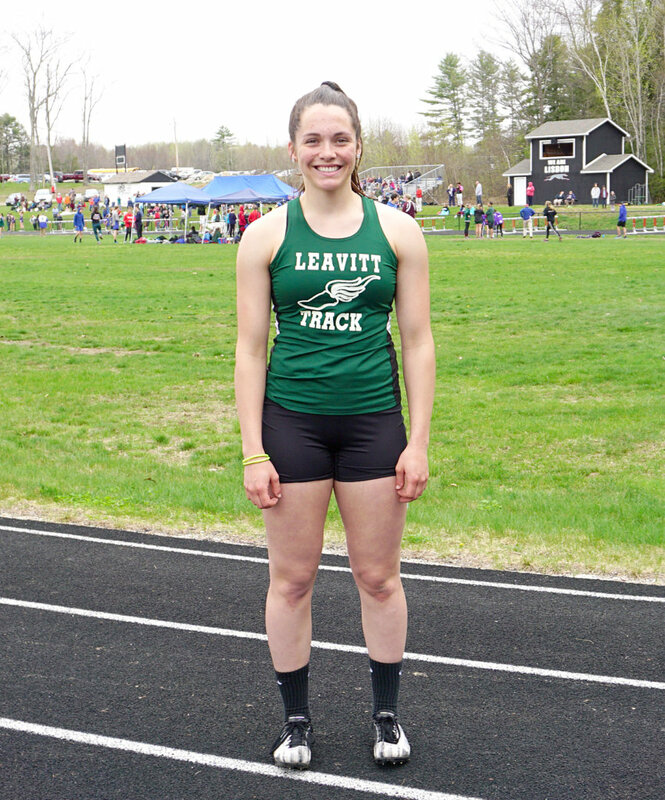 Gray-New Gloucester’s Madison Post finished second in the 100 to Daigle last year at the Class B state meet, and also won the 200 (Daigle finished fourth). Daigle knows she will be a tough runner to beat. Of the six finishers after Daigle in last year’s 100-meter finals, all but one return to try and dethrone the Hornet senior. 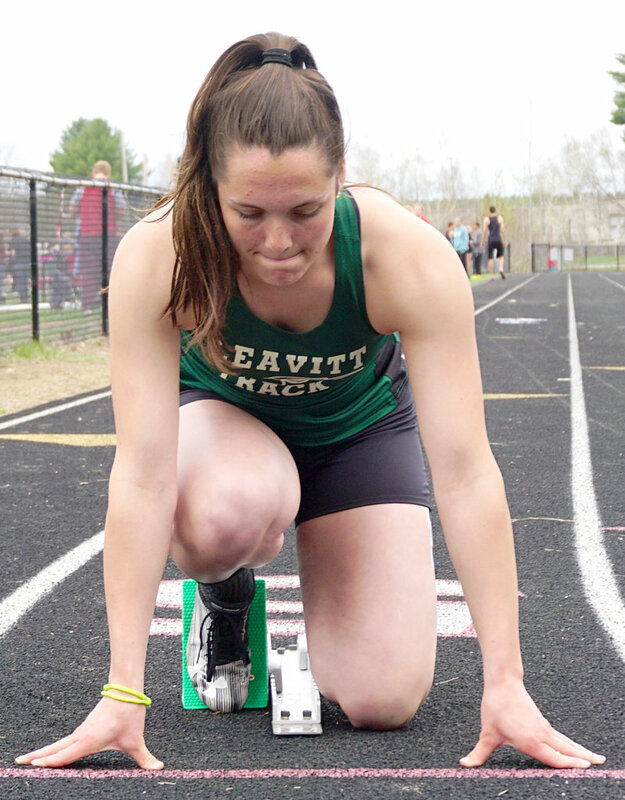 Another area of focus for Leavitt this year is the 4×100-meter relay, which the Hornets lost to Gray-NG by .06 seconds at states a year ago. Daigle is also trying her hand in javelin, using her softball background as her starting blocks. With the kind of focus and work ethic Daigle has proved that she has, both Thurston and her see more success on the horizon, not just individually, but as a team with the girls defending the KVAC crown.